Still don’t have that last-minute stocking stuffer? Consider getting your always-on-the-go special someone a MiLi Car Charger this Christmas. 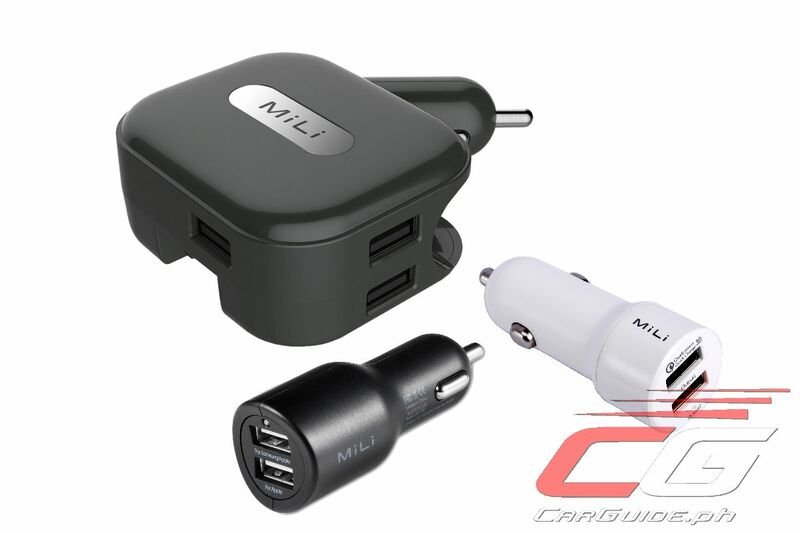 The MiLi Smart 4.8 Car Charger is a dual USB charger that allows the simultaneous charging of 2 mobile devices. It can accommodate up to 4.8 amps which makes it compatible with all smartphones and tablets. It also comes with a built-in overcharge protection. For frequent travelers, MiLi is also offering the Universal Charger Plus. With 3 USB ports that accommodates a maximum of 3.1 amps, this lightweight charger comes with a set of plugs for the US, UK, Europe, and Australia. There’s also a flip-up connector that makes it a car charger as well. The best part is both of these MiLi chargers are on sale thanks to the MiLi Holiday Promo. The MiLi Smart 4.8 Car Charger retails for just P 550.00 from an original retail price of P 760.00 while the MiLi Universal Charger Plus drops to P 1,600.00 from P 1,890.00. The full range of MiLi products can be ordered online via this website.